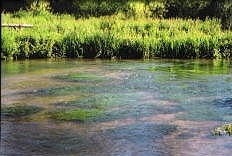 Lower Itchen Fishery offers excellent but challenging dry fly fishing for brown trout over 5 beats. The river has superb ranunculas cover which is cut in the traditional method of line and bar. The five beats all have different qualities giving a good variety with white water pools, faster riffled stretches and deep pools, providing excellent sport. Four of the five beats are fishable from both banks with footbridges placed on each beat to enable easy access. The fifth beat is only fished from one bank with the other bank being owned by the fishery but left natural to provide a haven for bird and insect life. All 5 beats are adjoining with a central Fishing Lodge and BBQ area. 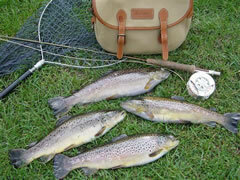 Regular stocking is carried out on the trout beats using only the highest quality brown trout ranging up to 5lbs. 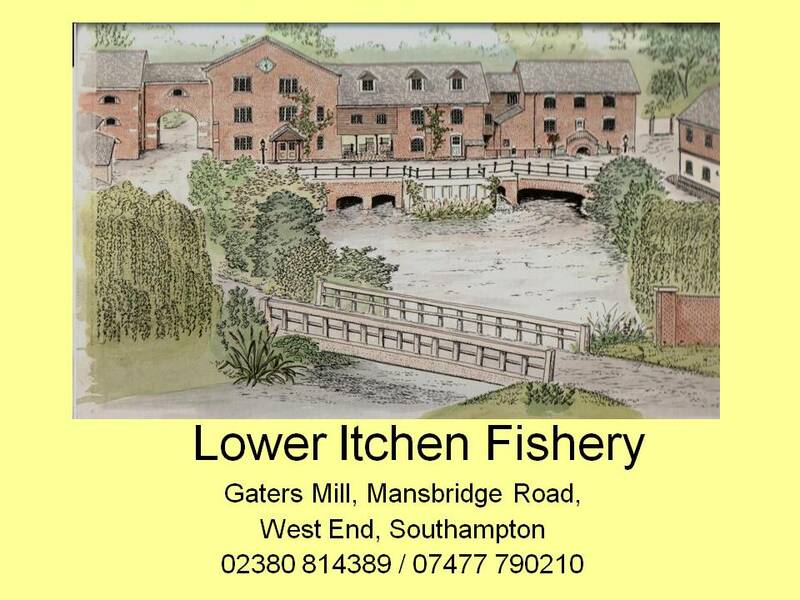 The fishery's policy is to only stock with brown trout and not rainbow trout, with the stocked brown trout complementing the wild stock indigenous to the river. The average trout weighs in at just over 2lbs with a few fish between 3-5lbs later in the season. The largest brown trout caught on the fishery was 8lbs. 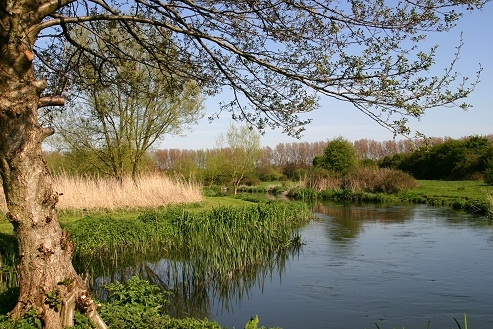 The ecology of the water meadows is extremely rich, and provides the right environment for the abundant fly hatches. This commences with the Grannom, followed by the Hawthorn and Mayfly. From June onwards we experience prolific hatches of Blue Winged Olive providing excellent late evening sport. During August and September Sedges and Daddy Long Legs prove to be the favourites which is typical of a Hampshire chalk stream. Popular flies include: Greenwells Glory; Grey Wulff; Black Gnat; Adams; Walkers Red Sedge; Ginger Quill; B.W.O. ; Lunns Particular; Iron Blue Dun; Sherry Spinner. For the days when the conditions are against you may, at the Keeper's discretion use a nymph. A Season basis either fortnightly or weekly on a named day of the week from 24th April to 7th October. Rods are allocated a beat to themselves on each of their booked days rotating around the five different beats during the season. Season rods receive a number of guest tickets (4 for fortnightly rods and 8 for weekly rods) enabling you to bring fishing guests during the season. We realise that holiday or work commitments may mean you could miss some of your fishing dates during the season. We therefore offer a degree of flexibility whereby you may "swap" up to 4 of your allocated dates subject to your chosen alternative dates being available and with at least 2 weeks prior notice. This degree of flexibility proves very popular with our rods. COMBO rod: A combination of Trout and Salmon fishing on a fortnightly basis on a named day of the week. The Combo Rod gives a total of: 6 days trout fishing - with 2 guest tickets and 6 days salmon fishing - with 6 guest tickets. Starting in April you alternate between a days Salmon fishing for 2 people on a salmon beat with your next visit being a days Trout fishing on the trout water. A Day Ticket basis, from 18th April to 7th October. Day tickets must be booked well in advance.